EPA 40 MPG Hwy/30 MPG City! Aluminum Wheels, Back-Up Camera, Auxiliary Audio Input, Bluetooth Connection, Turbo Charged Engine.WHY BUY FROM USHere at Baxter Volkswagen Omaha, our commitment to our customers goes far beyond your initial vehicle purchase. We don't want you to just have a great buying experience at our Volkswagen dealership in Omaha, NE, we want to provide you with all that you need to have a wonderful life with your new car.EXPERTS ARE SAYINGEdmunds.com's review says The Jetta feels quick around town thanks to the solid torque output from the turbocharged engine. It also handles curves well, staying controlled and stable..Fuel economy calculations based on original manufacturer data for trim engine configuration. Bluetooth, DRIVER ASSISTANCE PACKAGE, Alloy Wheels, Turbo, iPod/MP3 Input, Back-Up Camera. FUEL EFFICIENT 40 MPG Hwy/30 MPG City!WHY BUY FROM USHere at Baxter Volkswagen Omaha, our commitment to our customers goes far beyond your initial vehicle purchase. We don't want you to just have a great buying experience at our Volkswagen dealership in Omaha, NE, we want to provide you with all that you need to have a wonderful life with your new car.OPTION PACKAGESDRIVER ASSISTANCE PACKAGE Blind Spot Monitor w/Rear Traffic Alert, Heated Side Mirrors, Forward Collision Warning, Autonomous Emergency Braking (AEB) and pedestrian monitoring.EXPERTS ARE SAYINGEdmunds.com's review says The Jetta feels quick around town thanks to the solid torque output from the turbocharged engine. It also handles curves well, staying controlled and stable..Fuel economy calculations based on original manufacturer data for trim engine configuration. Bluetooth, DRIVER ASSISTANCE PACKAGE, Alloy Wheels, Turbo, iPod/MP3 Input, Back-Up Camera. FUEL EFFICIENT 40 MPG Hwy/30 MPG City!WHY BUY FROM USHere at Baxter Volkswagen Omaha, our commitment to our customers goes far beyond your initial vehicle purchase. We don't want you to just have a great buying experience at our Volkswagen dealership in Omaha, NE, we want to provide you with all that you need to have a wonderful life with your new car.OPTION PACKAGESDRIVER ASSISTANCE PACKAGE Blind Spot Monitor w/Rear Traffic Alert, Heated Side Mirrors, Forward Collision Warning, Autonomous Emergency Braking (AEB) and pedestrian monitoring.Fuel economy calculations based on original manufacturer data for trim engine configuration. Heated Seats, Sunroof, VW CARE, Alloy Wheels, Turbo Charged, iPod/MP3 Input, Back-Up Camera. FUEL EFFICIENT 40 MPG Hwy/30 MPG City!WHY BUY FROM USHere at Baxter Volkswagen Omaha, our commitment to our customers goes far beyond your initial vehicle purchase. We don't want you to just have a great buying experience at our Volkswagen dealership in Omaha, NE, we want to provide you with all that you need to have a wonderful life with your new car.OPTION PACKAGESVW CARE Volkswagen prepaid scheduled maintenance contract w/10,000-mile and 20,000-mile servicing for cars.Fuel economy calculations based on original manufacturer data for trim engine configuration. Heated Seats, Moonroof, COMBINATION ASSISTANCE KIT, Aluminum Wheels, Turbo Charged Engine, iPod/MP3 Input, Back-Up Camera. FUEL EFFICIENT 40 MPG Hwy/30 MPG City!WHY BUY FROM USHere at Baxter Volkswagen Omaha, our commitment to our customers goes far beyond your initial vehicle purchase. We don't want you to just have a great buying experience at our Volkswagen dealership in Omaha, NE, we want to provide you with all that you need to have a wonderful life with your new car.OPTION PACKAGESCOMBINATION ASSISTANCE KIT First Aid Kit Basic first aid kit for addressing minor injuries, Roadside Assistance Kit, booster cables, warning triangle, LED flashlight, work gloves, multi-tool, and more.Fuel economy calculations based on original manufacturer data for trim engine configuration. Heated Seats, Moonroof, VW CARE, Aluminum Wheels, Turbo Charged, iPod/MP3 Input, Back-Up Camera. FUEL EFFICIENT 40 MPG Hwy/30 MPG City!WHY BUY FROM USHere at Baxter Volkswagen Omaha, our commitment to our customers goes far beyond your initial vehicle purchase. We don't want you to just have a great buying experience at our Volkswagen dealership in Omaha, NE, we want to provide you with all that you need to have a wonderful life with your new car.OPTION PACKAGESVW CARE Volkswagen prepaid scheduled maintenance contract w/10,000-mile and 20,000-mile servicing for cars.Fuel economy calculations based on original manufacturer data for trim engine configuration. Heated Seats, Moonroof, VW CARE, Aluminum Wheels, Turbo Charged Engine, iPod/MP3 Input, Back-Up Camera. FUEL EFFICIENT 40 MPG Hwy/30 MPG City!WHY BUY FROM USHere at Baxter Volkswagen Omaha, our commitment to our customers goes far beyond your initial vehicle purchase. We don't want you to just have a great buying experience at our Volkswagen dealership in Omaha, NE, we want to provide you with all that you need to have a wonderful life with your new car.OPTION PACKAGESVW CARE Volkswagen prepaid scheduled maintenance contract w/10,000-mile and 20,000-mile servicing for cars.Fuel economy calculations based on original manufacturer data for trim engine configuration. Moonroof, Heated Seats, Aluminum Wheels, Turbo Charged Engine, Back-Up Camera, iPod/MP3 Input. FUEL EFFICIENT 40 MPG Hwy/30 MPG City!WHY BUY FROM USHere at Baxter Volkswagen Omaha, our commitment to our customers goes far beyond your initial vehicle purchase. We don't want you to just have a great buying experience at our Volkswagen dealership in Omaha, NE, we want to provide you with all that you need to have a wonderful life with your new car.Fuel economy calculations based on original manufacturer data for trim engine configuration. Sunroof, Heated Seats, Alloy Wheels, Turbo Charged, iPod/MP3 Input, Back-Up Camera. FUEL EFFICIENT 40 MPG Hwy/30 MPG City!WHY BUY FROM USHere at Baxter Volkswagen Omaha, our commitment to our customers goes far beyond your initial vehicle purchase. We don't want you to just have a great buying experience at our Volkswagen dealership in Omaha, NE, we want to provide you with all that you need to have a wonderful life with your new car.Fuel economy calculations based on original manufacturer data for trim engine configuration. Sunroof, Heated Seats, Alloy Wheels, Back-Up Camera, Turbo Charged, iPod/MP3 Input. EPA 40 MPG Hwy/30 MPG City!WHY BUY FROM USHere at Baxter Volkswagen Omaha, our commitment to our customers goes far beyond your initial vehicle purchase. We don't want you to just have a great buying experience at our Volkswagen dealership in Omaha, NE, we want to provide you with all that you need to have a wonderful life with your new car.Fuel economy calculations based on original manufacturer data for trim engine configuration. Sunroof, Heated Seats, Turbo, iPod/MP3 Input, Back-Up Camera, Alloy Wheels. FUEL EFFICIENT 40 MPG Hwy/30 MPG City!WHY BUY FROM USHere at Baxter Volkswagen Omaha, our commitment to our customers goes far beyond your initial vehicle purchase. We don't want you to just have a great buying experience at our Volkswagen dealership in Omaha, NE, we want to provide you with all that you need to have a wonderful life with your new car.Fuel economy calculations based on original manufacturer data for trim engine configuration. Moonroof, Heated Seats, Aluminum Wheels, VW CARE, iPod/MP3 Input, Turbo Charged, Back-Up Camera. FUEL EFFICIENT 40 MPG Hwy/30 MPG City!WHY BUY FROM USHere at Baxter Volkswagen Omaha, our commitment to our customers goes far beyond your initial vehicle purchase. We don't want you to just have a great buying experience at our Volkswagen dealership in Omaha, NE, we want to provide you with all that you need to have a wonderful life with your new car.OPTION PACKAGESVW CARE Volkswagen prepaid scheduled maintenance contract w/10,000-mile and 20,000-mile servicing for cars.EXPERTS ARE SAYINGThe Jetta feels quick around town thanks to the solid torque output from the turbocharged engine. It also handles curves well, staying controlled and stable. -Edmunds.com.Fuel economy calculations based on original manufacturer data for trim engine configuration. Heated Seats, Sunroof, WHEELS & SUNROOF PACKAGE, Turbo, Back-Up Camera, iPod/MP3 Input, Satellite Radio. FUEL EFFICIENT 36 MPG Hwy/25 MPG City!WHY BUY FROM USHere at Baxter Volkswagen Omaha, our commitment to our customers goes far beyond your initial vehicle purchase. We don't want you to just have a great buying experience at our Volkswagen dealership in Omaha, NE, we want to provide you with all that you need to have a wonderful life with your new car.OPTION PACKAGESWHEELS & SUNROOF PACKAGE Illuminated Vanity Mirror, Wheels: 18 Twin 5-Spoke, Tires: 18 All Season, Power Tilting & Sliding Sunroof.Fuel economy calculations based on original manufacturer data for trim engine configuration. Heated Seats, Moonroof, WHEELS & SUNROOF PACKAGE, Turbo Charged Engine, Back-Up Camera, iPod/MP3 Input, Satellite Radio. FUEL EFFICIENT 36 MPG Hwy/25 MPG City!WHY BUY FROM USHere at Baxter Volkswagen Omaha, our commitment to our customers goes far beyond your initial vehicle purchase. We don't want you to just have a great buying experience at our Volkswagen dealership in Omaha, NE, we want to provide you with all that you need to have a wonderful life with your new car.OPTION PACKAGESWHEELS & SUNROOF PACKAGE Illuminated Vanity Mirror, Wheels: 18 Twin 5-Spoke, Tires: 18 All Season, Power Tilting & Sliding Sunroof.Fuel economy calculations based on original manufacturer data for trim engine configuration. Heated Seats, Moonroof, WHEELS & SUNROOF PACKAGE, Turbo Charged Engine, Back-Up Camera, iPod/MP3 Input, Satellite Radio. EPA 36 MPG Hwy/25 MPG City!WHY BUY FROM USHere at Baxter Volkswagen Omaha, our commitment to our customers goes far beyond your initial vehicle purchase. We don't want you to just have a great buying experience at our Volkswagen dealership in Omaha, NE, we want to provide you with all that you need to have a wonderful life with your new car.OPTION PACKAGESWHEELS & SUNROOF PACKAGE Illuminated Vanity Mirror, Wheels: 18 Twin 5-Spoke, Tires: 18 All Season, Power Tilting & Sliding Sunroof.Fuel economy calculations based on original manufacturer data for trim engine configuration. Heated Seats, Moonroof, iPod/MP3 Input, WHEELS & SUNROOF PACKAGE, FRAMELESS AUTO-DIMMING REARVIEW MIRRO. REAR TRUNK LID LIP SPOILER, Satellite Radio, Back-Up Camera, Turbo Charged Engine. FUEL EFFICIENT 36 MPG Hwy/25 MPG City!WHY BUY FROM USHere at Baxter Volkswagen Omaha, our commitment to our customers goes far beyond your initial vehicle purchase. We don't want you to just have a great buying experience at our Volkswagen dealership in Omaha, NE, we want to provide you with all that you need to have a wonderful life with your new car.OPTION PACKAGESWHEELS & SUNROOF PACKAGE Illuminated Vanity Mirror, Wheels: 18 Twin 5-Spoke, Tires: 18 All Season, Power Tilting & Sliding Sunroof, REAR TRUNK LID LIP SPOILER, FRAMELESS AUTO-DIMMING REARVIEW MIRROR electronic compass and HomeLink garage door opener.Fuel economy calculations based on original manufacturer data for trim engine configuration. If you’re in the market for a safe, stylish new car, shop our comprehensive selection of new Volkswagen models right away. Here at our Omaha, NE, Volkswagen dealership, we have plenty of new Volkswagen cars and SUVs for sale. Take a look at the Volkswagen Jetta or VW Passat, and you’ll find either sedan to be perfect for daily commuters. If you want a family-friendly SUV, the brand-new Volkswagen Atlas could be just right. Or, check out some of our tried and true favorites, like the Volkswagen Touareg and Tiguan. If you’re the type who wants to maintain their own unique style on the road, you’re sure to love our new Volkswagen Beetle models. 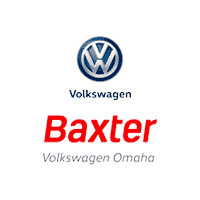 Whatever it is you’re looking for, you’ll find it here at Baxter Volkswagen Omaha.